Well, yes, we have a drawbridge breakthrough. In the first place, i finally managed to get shots of the D Street Bridge opening and added them to my Bridges of the Petaluma photo essay. 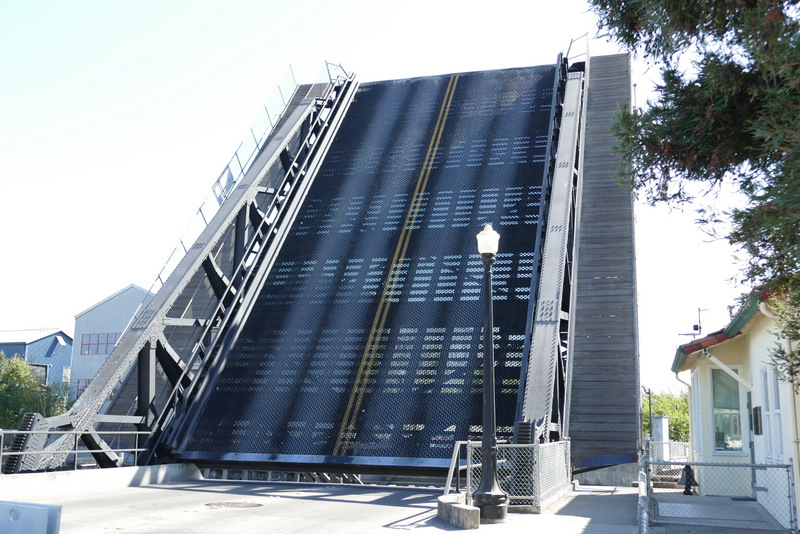 And then, just this morning, Christian posted to Youtube his video of the NWP drawbridge at the mouth of the Petaluma River opening and a train roaring over it, and i added a link to this video to the photo essay. The previous link i’d posted required that you sign up for Dropbox, which i just hated. Now anybody can see it without signing up for nothing. Ta da. Meanwhile, here’s a still shot of the D Street Bridge open.